RPA are pleased to announce our appointment as cost consultants working with Niblett Architecture on the major works being undertaken to the existing Milman Road Health Centre, Reading. Milman Road Health Centre, a multi practice doctors surgery is undergoing a complete refurbishment of the existing space along with the construction of two extensions creating additional treatment & consultation space as well as a providing a new feature entrance. 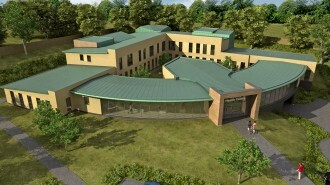 The works at Milman Road commenced in November 2015 with the new look facility due to be unveiled by the NHS in June 2016. RPA look forward to a long and successful working relationship with Niblett Architecture providing similar facilities across the country and have recently been engaged on projects in Little Stock (Bristol), Bushey (Watford) and Woking.